When President Donald Trump declared the opioid epidemic a public health emergency, it came with a regulatory change intended to make it easier for people to get care. The declaration allows for doctors to prescribe addiction medicine virtually, without ever seeing the patient in person. Heather Menzel squirmed in her seat, unable to sleep on the Greyhound bus as it rolled through the early morning darkness toward Bakersfield, in California's Central Valley. Rather than being considered a miracle pill that magically takes away pain, prescription opioids are increasingly being seen as a precursor to heroin addiction and the cause of potentially deadly overdoses themselves. A new review of published research indicates that the oxytocin system—a key player in social reward and stress regulation—is profoundly affected by opioid use. 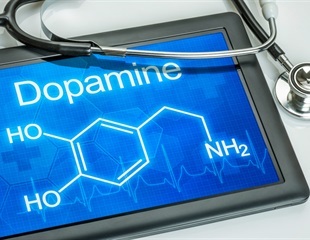 Heroin use is associated with excessive histone acetylation, an epigenetic process that regulates gene expression, and more years of drug use correlate with higher levels of hyperacetylation, according to research conducted at The Icahn School of Medicine at Mount Sinai and published in the journal Biological Psychiatry. The past few years have seen an explosion of heroin abuse and deaths from opiate overdose. But little is known about the molecular underpinnings of heroin addiction. A protein known as FosB in the reward centre of the brain alters in chronically ill people suffering from an addictive disorder (e.g. heroin addiction): it is genetically modified, split off and shortened. Washington State University researchers have found that treatments of pure oxygen in a high-pressure chamber can relieve the symptoms of opiate withdrawal. Now researchers at The Scripps Research Institute have been awarded a prestigious Translational Avant-Garde Award, which supports the development of medications for substance abuse disorders, from the National Institutes of Health National Institute on Drug Abuse. Every addiction is characterized by a strong desire for a certain addictive substance, be it nicotine, alcohol or other drug. Researchers at the University of Basel in Switzerland recently conducted a study on heroin addiction and demonstrated that the stress hormone cortisol can reduce addictive cravings.